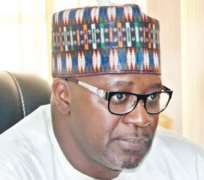 The Commission has so far quizzed the Director General, Dr. Ishaq Moddibbo Kawu, and other top management staff of the agency over their alleged involvements in the misapplication of the fund. However, ICPC through investigation discovered that the process was fraught with alleged corrupt practices. It was alleged that Dr. Kawu fraudulently recommended a private company called Pinnacle Communications Limited, to the Minister of Information and Culture, for the release of N2.5 billion against the guidelines contained in the White Paper. The N2.5 billion was paid into the Zenith Bank account of Pinnacle Communications Limited in May/June, 2017 for the programme. The DG NBC during interactions with the Commission could not justify why the government White Paper was flouted leading to the release of money to an unqualified company. However, the Managing Director of Pinnacle, Mr. Dipo Onifade, during interrogation confirmed the release of the funds to the company. He could not justify that the money was used for the purpose of digital switch-over. The Commission through investigation discovered several suspicious transfers of large sums of funds from the account of the company into the bank accounts of several organisations and individuals. It found out that N100 million of the fund was paid into the personal bank account of Mr. Onifade in Zenith Bank which he claimed was for legal services that he had rendered to the same Pinnacle Communications where he is employed. Also investigation revealed that another N450 million was transferred into the account of Sabdat Investment Limited, a Bureau de Change, which then converted the money into dollars and handed it over to the Chairman of Pinnacle Communications Limited, Mr. Lucky Omoluwa, in his Kaduna residence as he usually did with other funds. Omoluwa had repeatedly failed to honour invitations from the Commission to come and explain his role in the alleged fraud. He had also sought the leave of the Federal High Court, Abuja, to stop the investigation as well as unfreeze the Zenith Bank account of the company that was frozen by ICPC, but was however ordered by the same court to appear before ICPC for interrogation before the next adjourned date of 3rd December, 2018 before his case would be heard. In compliance with the court order, Mr. Omoluwa has appeared before the Commission where he made useful statements to investigators.